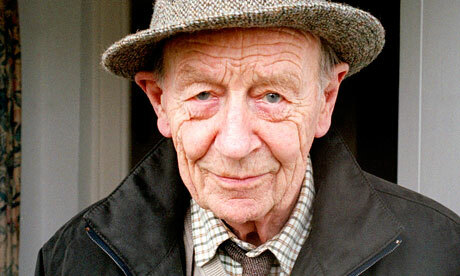 I love reading William Trevor. His books seem like familiar old friends, reminding me that the world is strange, people are sad, and convention can be crushing. He captures the space between people, between people and their actions, and between what’s expected, what’s desired, and what’s necessary. I sometimes think that he’s a very Victorian writer. Then I feel guilty. For what does it mean to be a Victorian writer in the 21st century? Probably not good things for most people. And what does it mean to be a Victorian writer in the 21st century and also Irish? Damn. But he plays with Victorian plots. The Love Department – far more than The Marriage Plot – considers what it would mean to believe in the marriage plot today (here’s a hint, it doesn’t take mental illness to see its limit, all it takes is belief ). In turn, The Old Boys tears apart the Bildungsroman and the college novel, showing how the very people who thrived in the English education system are slowly destroyed by their commitment to a cruel, unjust, antiquated model. I just read Reading Turgenev (Russia + Ireland usually equals badass). To couch it in terms of literary terms (or rather in terms of canonical literary works), this is A Room of One’s Own meets Jane Eyre. For there is a madwoman in the attic, but she’s in the attic because she needs a room of her own. But it is also very Catholic – “Do this in remembrance of me” is a refrain – and very Irish – poor Elmer Quarry finds himself hiding his sexual shame in glass after glass of whiskey. Anachronism has great force – it is what leads Quarry to marry Mary Louise and what leads her to try to escape the marriage. The past is the problem, the past is also the mode of escape. What I like best, though, is that it isn’t didactic. Seemingly moral or thematic points are undermined. Take for instance the “wise” words of Sister Hannah, “A person’s life isn’t orderly . . . it runs about all over the place, in and out through time. The present’s hardly there; the future doesn’t exist. Only love matters in the bits and pieces of a person’s life” (161). It would be so easy to hold onto this as truth – that love is what matters, that the problem of the novel is a marriage without love. But that is not quite right. For the problem is much more that life isn’t orderly. Mary Louise loves Elmer Quarry in a way, and Elmer Quarry loves Mary Louise in a way as well. The real problem is that they can’t communicate this particular kind of love in a way that works. The other problem, of course, is that Mary Louise decides that “only love matters” with a more narrow, more childish version of love. To really live by Sister Hannah’s words then, is to be mad. Which is perhaps to say that I love William Trevor for his lovely, plotted, novels that, however ordered they seem, remind me that life is messy. And that’s what makes life beautiful and lovely. But it also makes it heart-wrenchingly sad. A friend of mine said on his blog that Bill Cunningham New York “made him happy.” I wholeheartedly agree (and it’s not just because I’ve watched documentaries about the New York Times all week long). The film shows a man who has made his own unique way in the world, carefully choosing something to love (“the clothes! !”), something to hate (having to answer to somebody else, ostentation, excess), and when to be public and when to be private. The scene that was most powerful to me was when the maker of the film asked Bill if he had any other interests – theater, music, etc. Bill said he used to listen to music in churches, and go to the opera but that he doesn’t any longer, that he had a hard enough time getting to church on Sunday. Intrigued, the filmmaker followed up, “You go to church every Sunday?” Bill responded, “Yes.” He paused. “But it doesn’t mean anything, kid. I go to repent.” It made me want to weep. Because, as the film itself shows later, going to church DOES mean something to Bill. When asked about his Catholic religion at the end, he breaks into tears. But what it means is not simple, and it’s certainly not what the filmmaker wants it to mean. The church, so laden with meaning in our culture (in this particular instance, it is a force of repression, the reason why Bill doesn’t have romantic relationships), also has a private, personal meaning, and Bill insisting “it’s good for me” is not just him consenting to a disciplinary regime. I don’t mean to minimize the the negative effects of the church for our culture and probably even for Bill, but I do want to think about how certain kinds of belief (or habit? or habit of belief? or even desire for belief?) are unspeakable, or at the very least, difficult to speak. They mean too much, and, at the same time, they don’t mean anything at all.